CTS Western Suburbs Food Festival 2: Sankranti, Sankranti, 250 Barkly Street, Footscray. Tuesday, June 20, 2017. Well, the Sankranti crew really tuned it on for Consider The Sauce and guests for the second CTS Western Suburbs Food Festival event. So many thanks to Latha, Sree, Prasanth, Laya and the rest of their team – they did themselves proud. The service was well-timed and the portion sizes just right for such a lengthy affair. … succulent tandoori kebab meats, including beef (a first for many of us) and salmon. Best of all … juicy, smoky chicken. 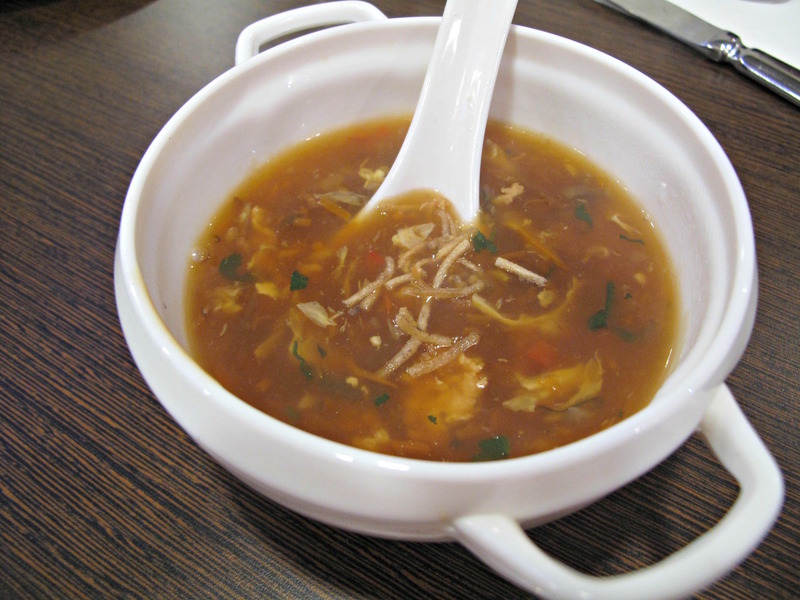 Manchow soup – how do they get such a massive, deep and – let it be said – meaty flavour from a vegetarian-based soup? The curries were all fine, too, particularly the gonkura chicken with its tangy sorrel gravy. Are they sprinkles – or hundreds and thousands? Whatever – the topping of the “Sankranti special naan” variously bemused and delighted, usually at the same time. 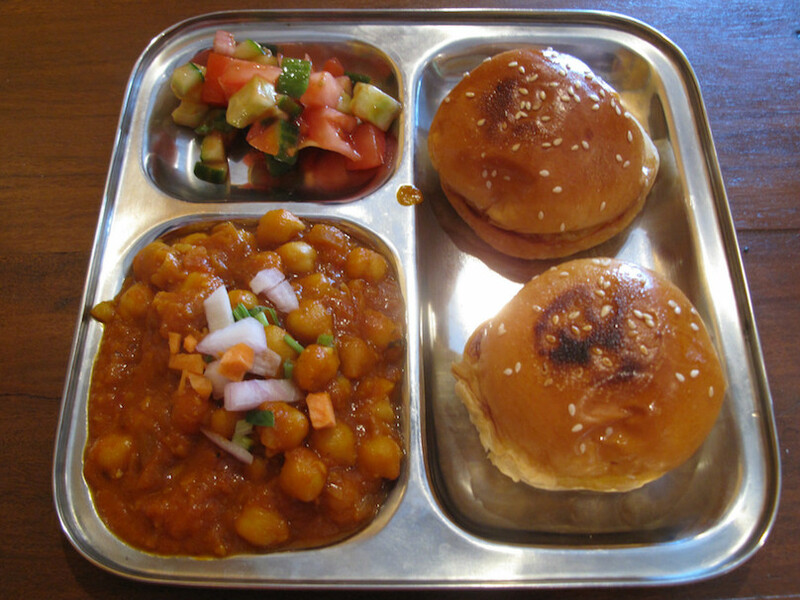 The chutneys served with the mini-idlys were fresh and zesty. Thanks to all who attended – I couldn’t have been happier. Kebab platter – tandoori lamb, tandoori chicken, stone-cooked beef, fish tikka. 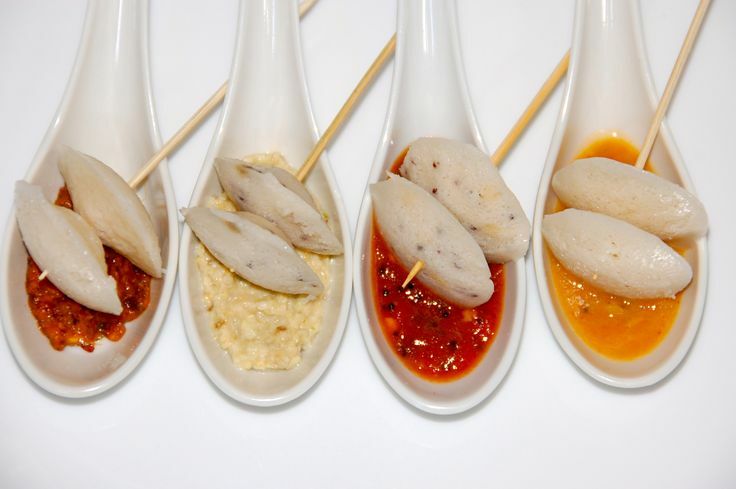 Mini idly shots with assorted chutneys. 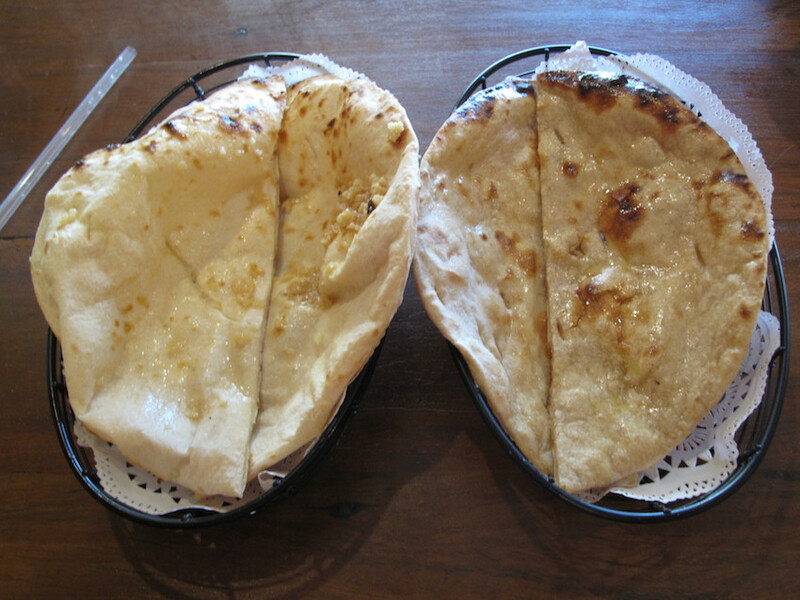 Three varieties of naan – garlic, sesame, Sankranti special naan. Gonkura chicken (Sankranti’s signature dish). 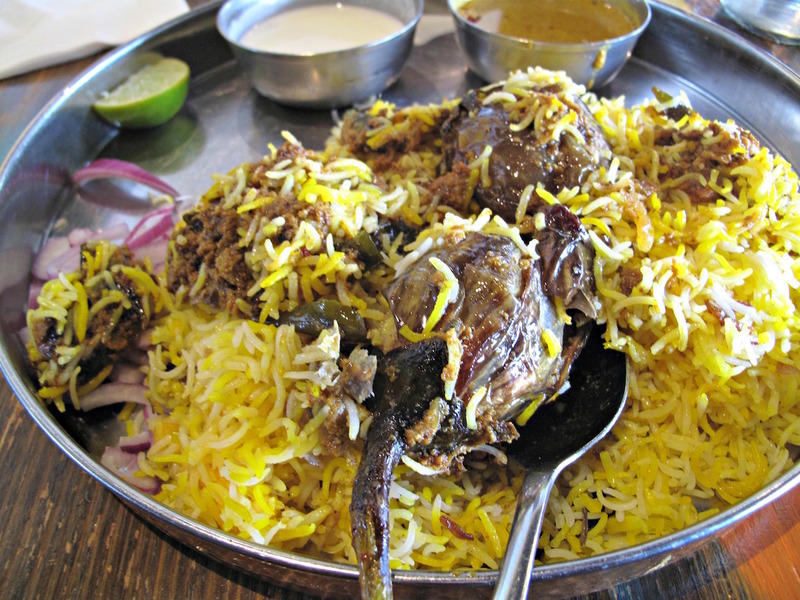 Choice of one biryani – vegetable, chicken or goat. Those of us who love Indian food owe the Dosa Hut crew a big vote of thanks. 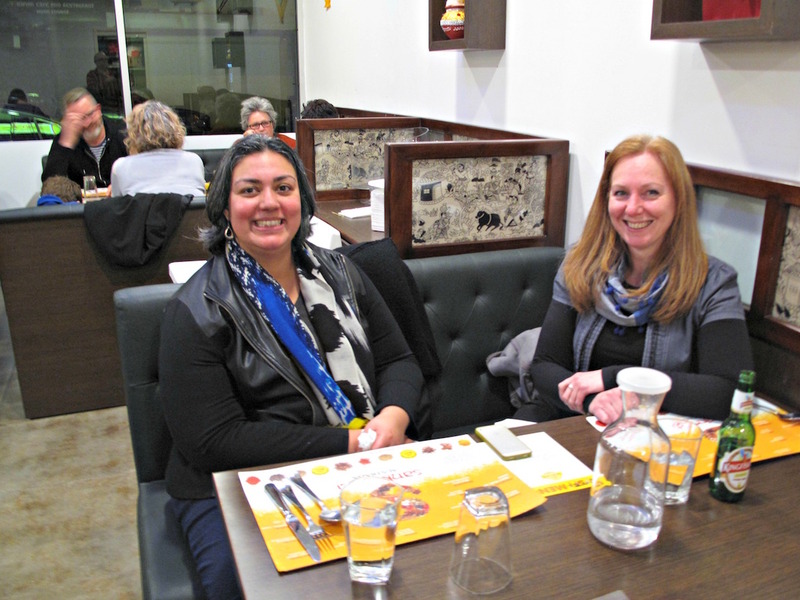 As far as I am aware, they were the very first to brings dosas to Melbourne’s western suburbs. 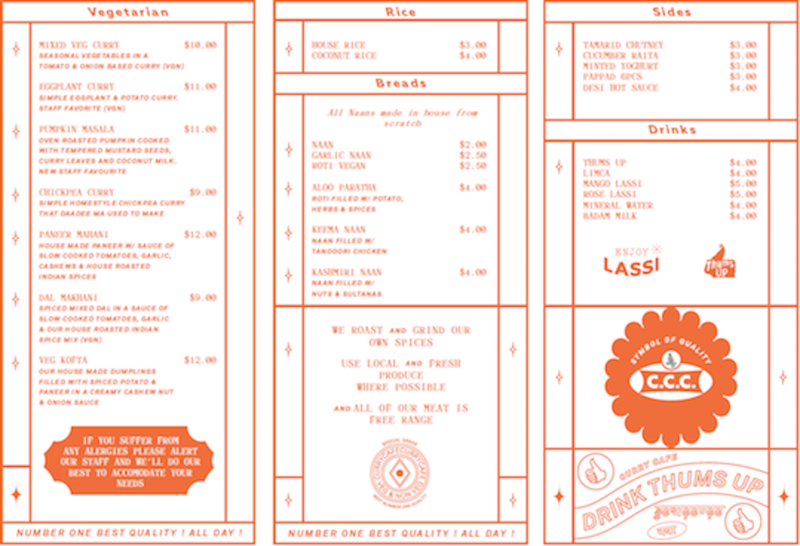 These days, there are five Dosa Hut branches at various parts of the Melbourne. 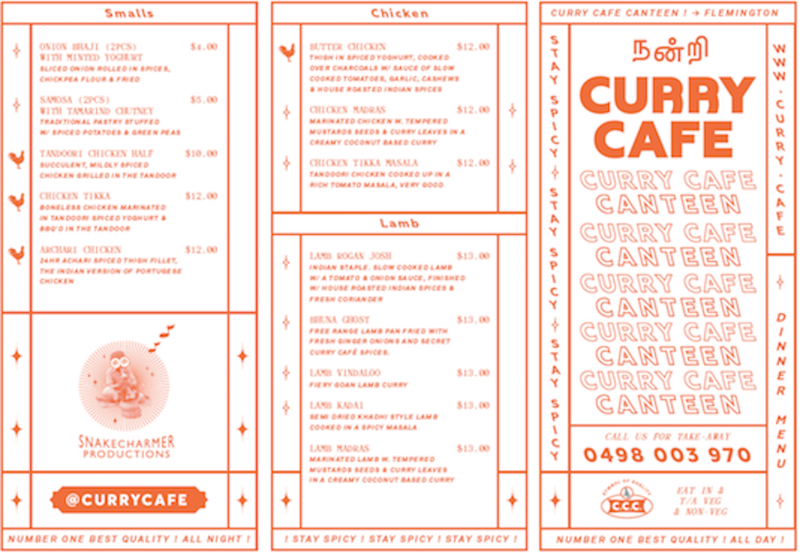 But the change that first shop in West Footscray helped initiate extends well beyond dosas and extra branches. 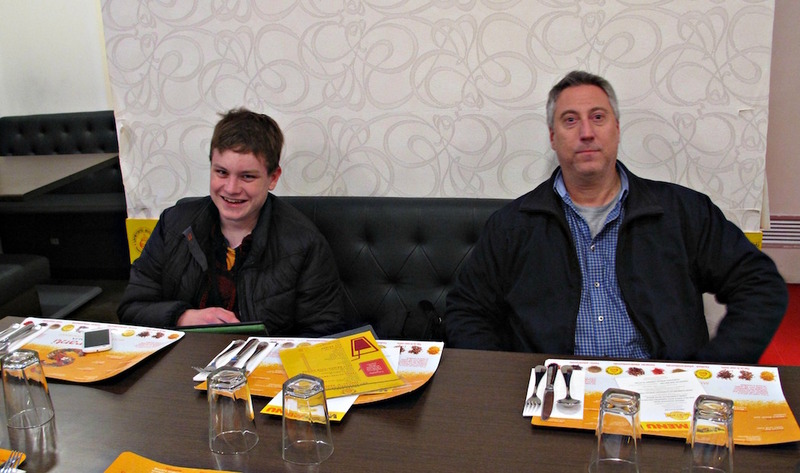 It’s taken the best part of a decade, but in that time Indian eating-out in Melbourne has changed dramatically. 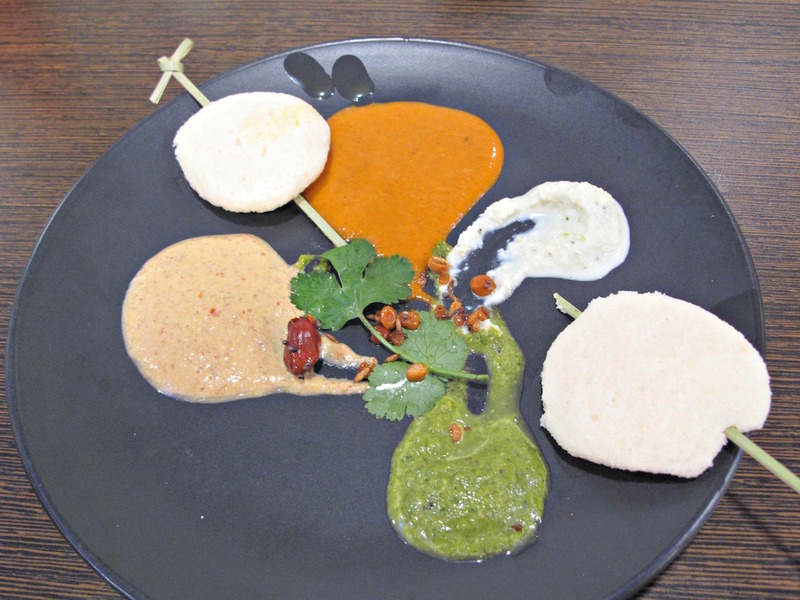 Not just dosas, but also the likes of idlis and vadas have become common. 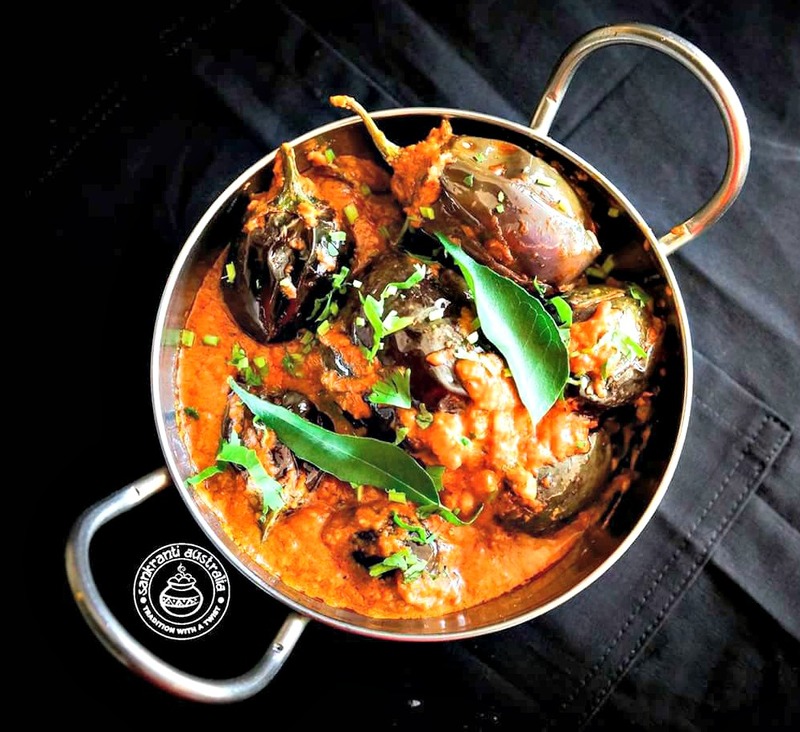 And it’s not just about those dishes, mostly associated with South Indian food – now Dosa Hut, and their many competitors, do Indo-Chinese, biryanis and sometimes even thalis. 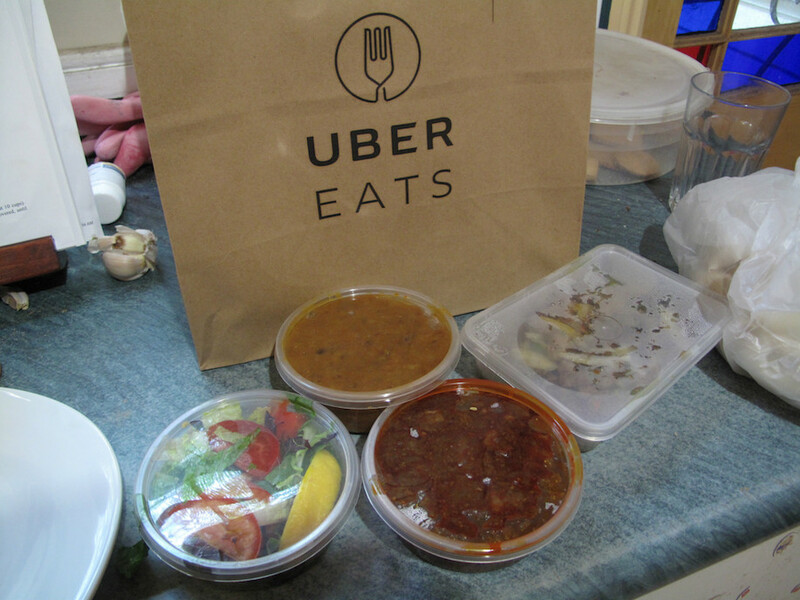 What this transformation means is that where once eating in Indian restaurants was once mostly rather formal, and correspondingly expensive, it is now informal and very affordable. Even those places that would perhaps have preferred to stick with more formal a la carte offerings have been forced by sheer demand and expectations to cater to this market. And hooray for that, we say! 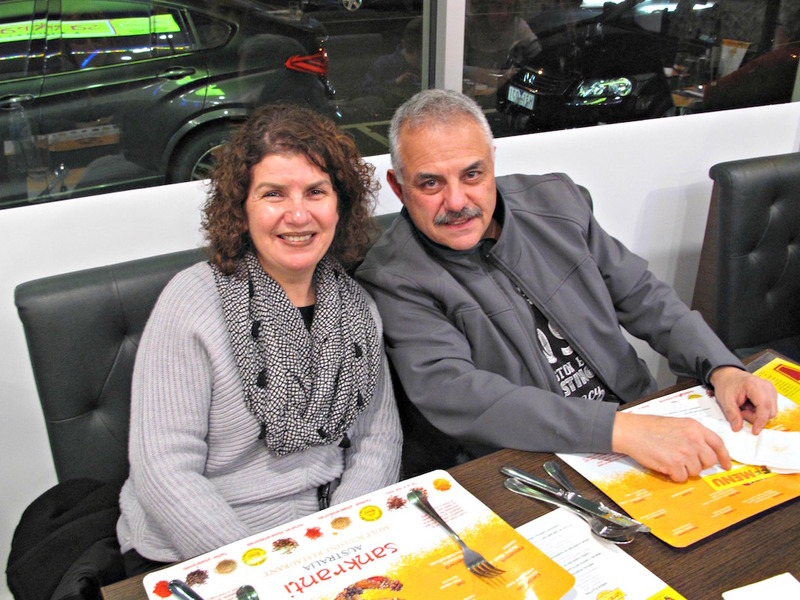 I still eat at the original Dos Hut on occasion – and was definitely interested in trying out their Ramadan specials. These include haleem, of which I am not a fan, and a couple of biryanis – lamb shank and “gutti vankaya dum biryani” (eggplant biryani). Unfortunately, on the day I visit for lunch, the lamb shank number is unavailable. But fortunately, settling for eggplant is by no means a case of second best. 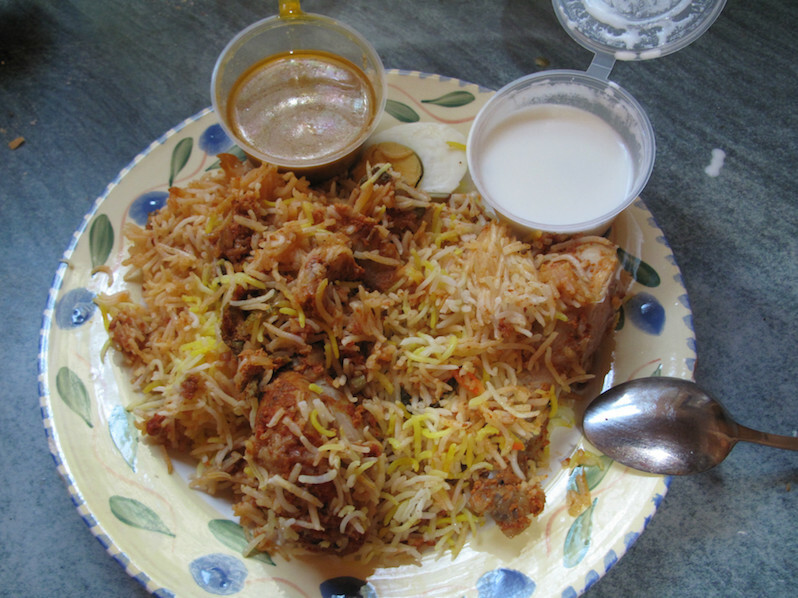 My biryani ($13.95) appears at my table (top photo) looking pretty much like any other biryani. 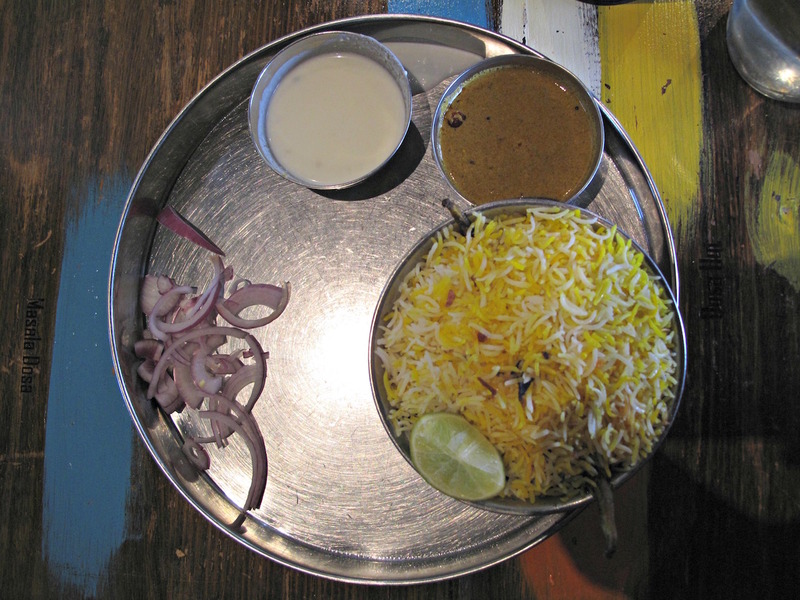 Rice, gravy, raita – but no hardboiled egg. But the proof is, as always with biryani, is hidden. For within my rice are to be found two fat, rotund, tender and very tasty eggplants. This dish makes for a nice change from my usual biryani order of chicken or lamb, though it is of rather high spiciness. Right across the road at Dosa Corner, they’re also doing haleem for Ramadan. 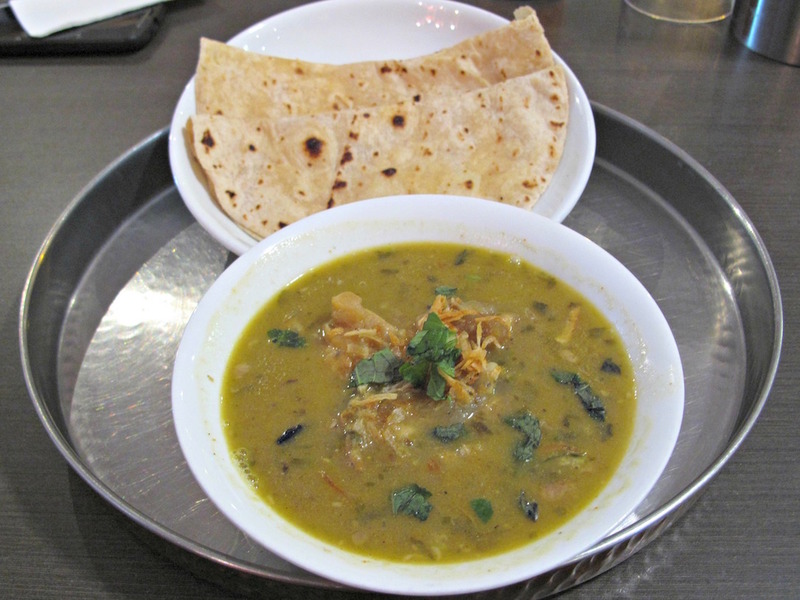 And another dish I am most eager to try – paya ($9.99, roti $2 each). This is a soup/stew made with sheep trotters. There’s not a lot of meat involved, but as is so often the way, the flavour is of immense meatiness, along with being tangy and having a nice chilli burn going on. In many ways, the broth/soup reminds of the equally meaty-but-meatless broths routinely served at many East African places, of which this Flemington establishment is our current fave. The couple of pieces sheep trotter? Well, no, not a lot of meat; but, yes, a whole bunch of gelatinous matter. Not, in other words, a cup of tea for everyone. Personally, I love it as something different and delicious. And I reckon anyone with a fondness for equally fiddly and bony chicken feet will feel the same! 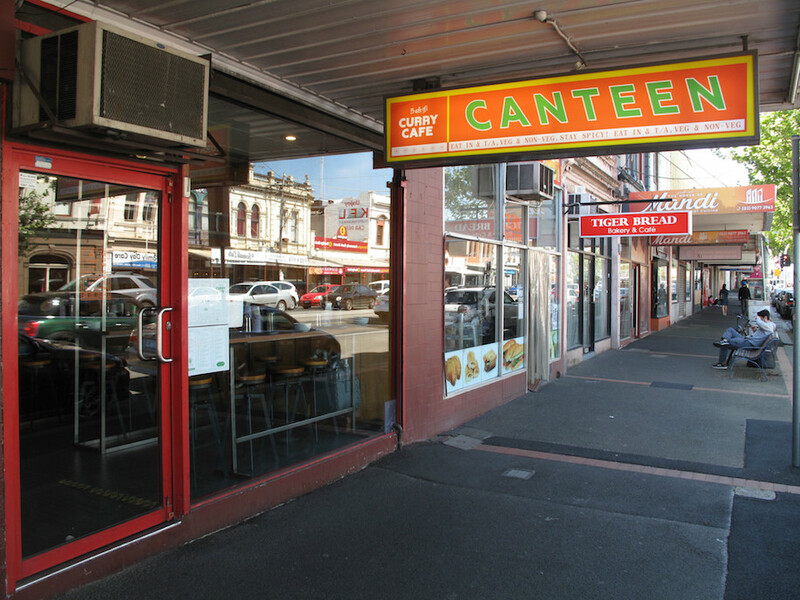 Magic Mint Cafe is one of those old-timers in the Puckle Street precinct – been around so long, it’s easy to overlook. 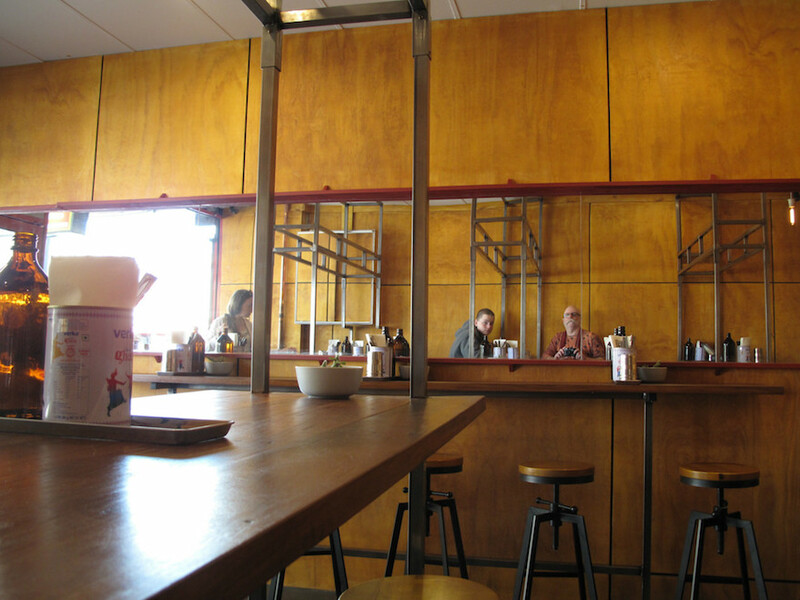 I’d have continued to do so – thinking it’s not open for lunch or that the food would be old-school average, and thus not of much interest – had not the ever diligently researching Nat Stockley discovered otherwise. So on the basis of pikkshas he’d sent of an earlier lunch he’d enjoyed at the place (9 Hall Street, Moonee Ponds, phone 9326 1646), I am very happy to join him for another. And for our purposes, lunch is the key – the lunch special list includes a nice line-up of curry dishes that are accompanied by dal, rice, naan and a papadum. The same sort of deal is offered for biryani or chicken sizzler. All of them cost a few cents under $15, that fee also covering a glass of wine or a soft drink. Which would count for nothing if the food was average or worse. 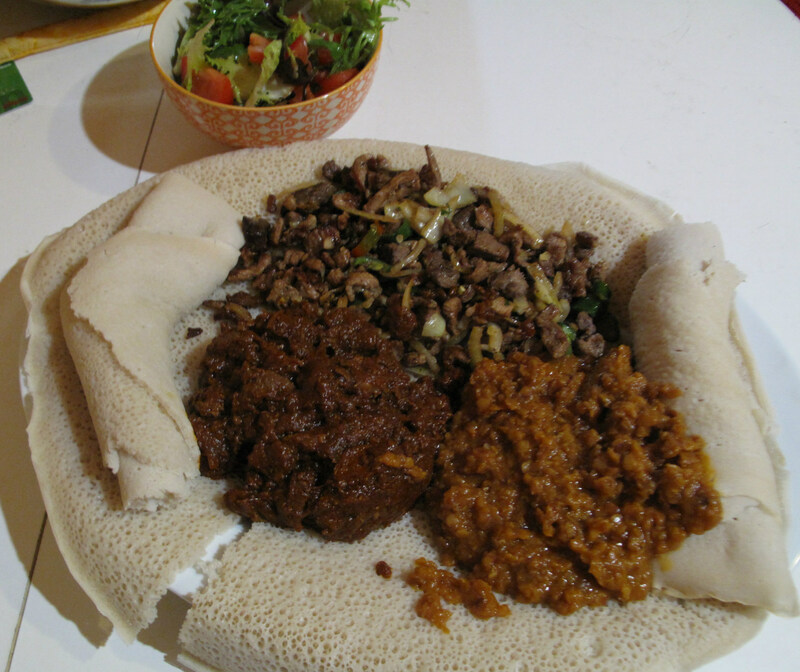 But that’s not the case here – the food is significantly better than that found at many places offering similar deals. The boneless chicken is plentiful in our curry bowls, submerged in a lovely gravy, the appealing tartness of which has me thinking it’s like a vindaloo without the heat factor. The dal is wonderful, simple and earthy. If anything, it is our naan that best express the difference between our lunches and your typical curry-and-rice quickie around town. These naan are fresh, pliable and shimmering with a ghee coating. TO BOOK FOR THIS EVENT, GO HERE. 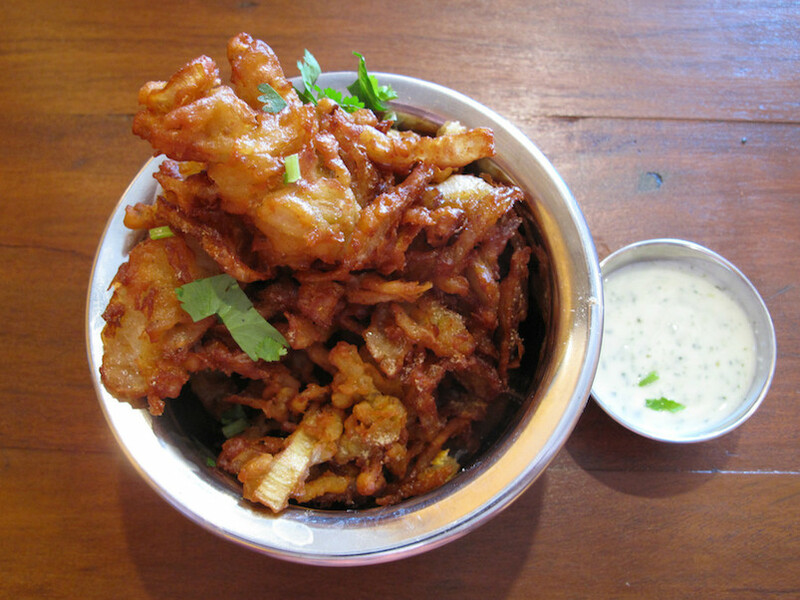 Venue: Sankranti, 250 Barkly Street, Footscray. Date: Tuesday, June 20, from 7pm. Price: $30 per person (covers food only). 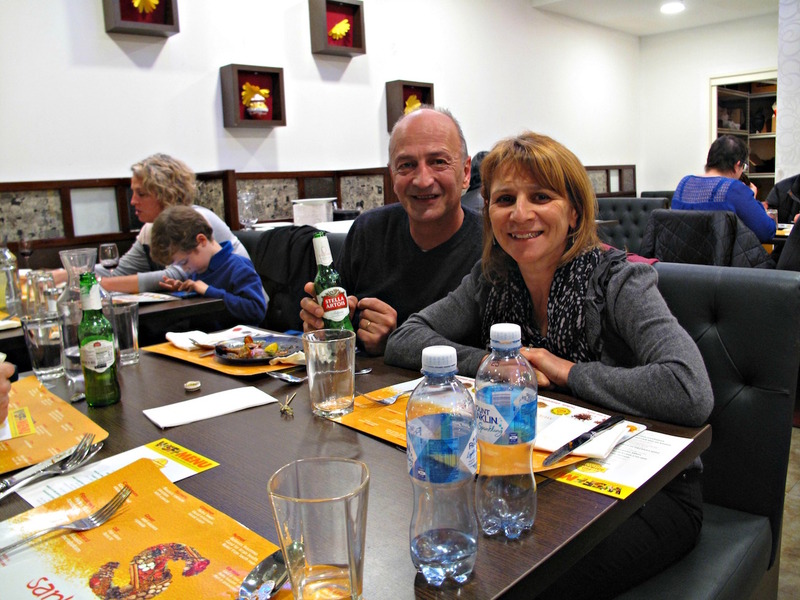 Indian restaurant Sankranti has quickly become a firm CTS favourite. We are slowly working our way through a menu, one that contains lovely takes on familiar dishes as well as more than a few of the less familiar. So we are very much looking forward to trying more of both at the CTS Western Suburbs Food Festival bash on Barkly Street. 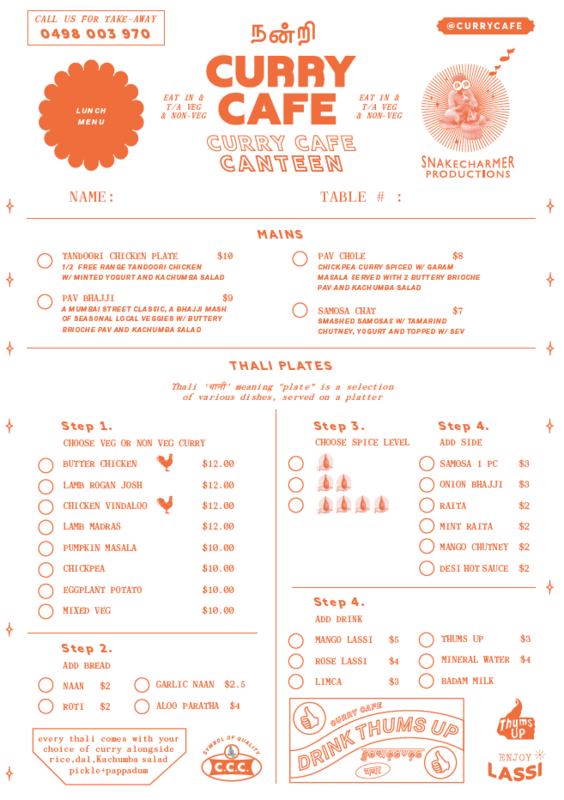 As with our first event, the menu for our second – niftily framed by the Sankranti crew – is a doozy. 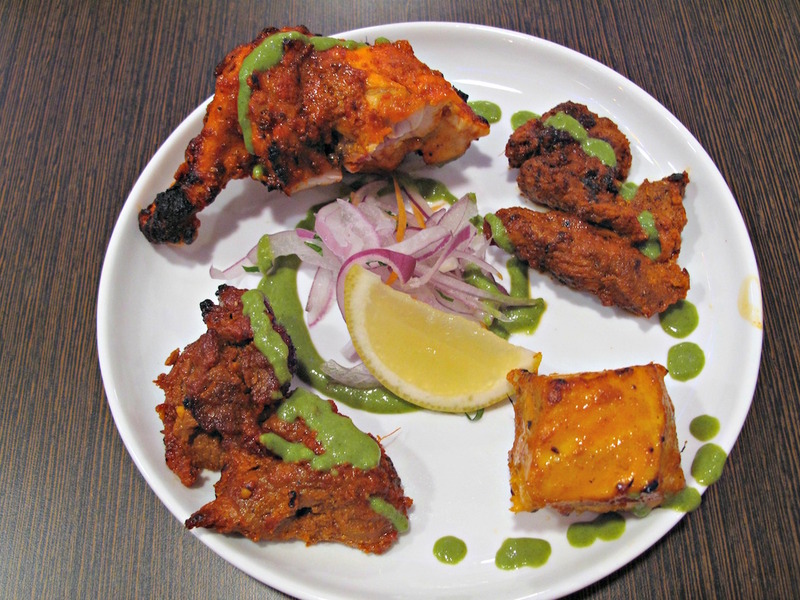 Kebab platter – tandoori lamb, tandoori chicken, stone-cooked beef, fish tikka. Vegetarian options available. Three varieties of naan – garlic, sesame, Sankranti special naan; half a piece each. 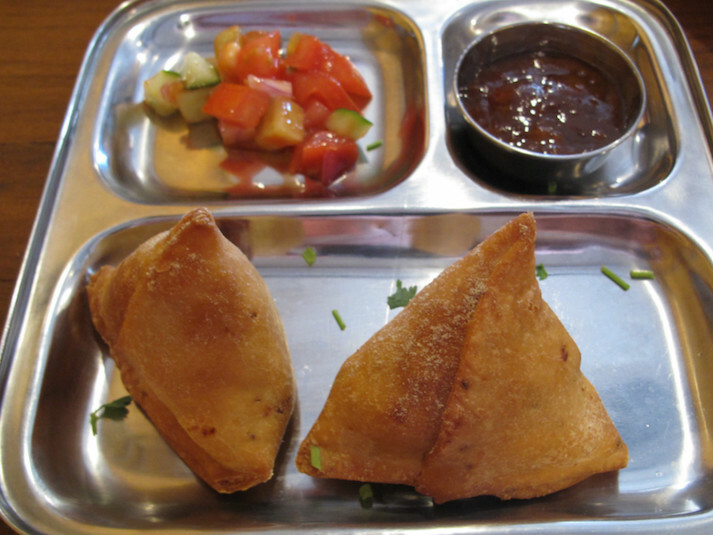 It’s been a while since our review visit to Tiwari Tea House (1/578 Barkly Street, West Footscray) – and almost as long since they announced they were serving thalis in addition to the cool line-up of snacky delights. But now we’ve made it and – we’re delighted with the outcome. 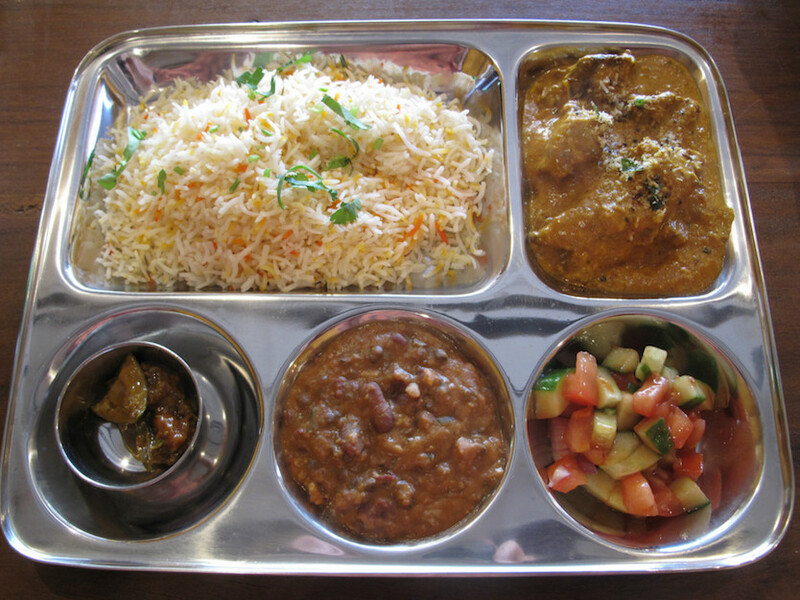 The Tiwari thalis come in two sizes – smaller ($9.95) and the Maharaja ($14.95); we’re hungry, so are quick to go with the latter. What we get is unassuming, delicious and perfect for our mood. Rice studded with cumin seeds. A wonderfully smooth dal made with kidney beans, dosed with cream. A paneer dish with a tomato-based gravy. Aloo ghobi – reheated, sure, but all the better and tastier for it, we reckon. Chunky raita, thicker and more stuffed with veg matter that we normally expect with such meals. Two mini-papudums, two lovely house-made rotis, (commercial) tangy pickle. A plump, warm gulab jamun. 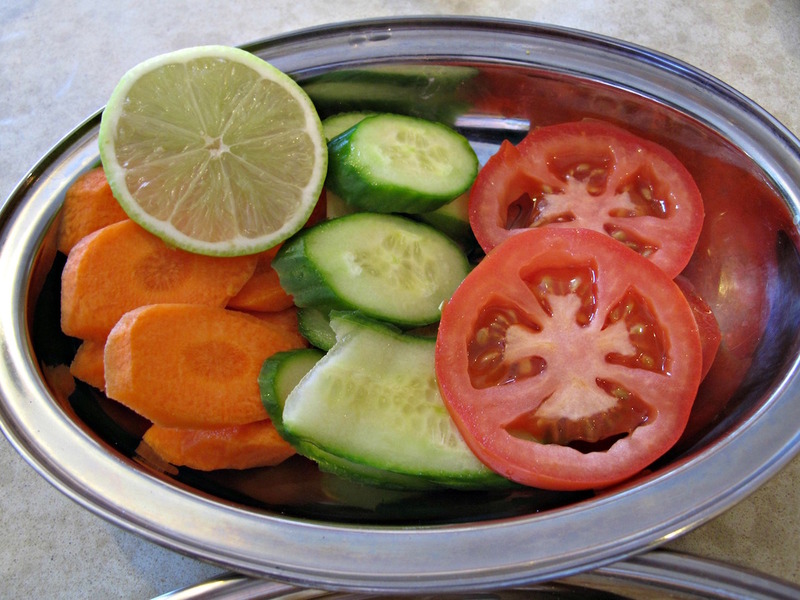 As well, we’re served a dish of salad veg on the side. We wipe the various bowls clean. The thing about these thalis is the low-key simplicity and wholesomeness. They’re unglamorous in a home-style way. The price is spot on. 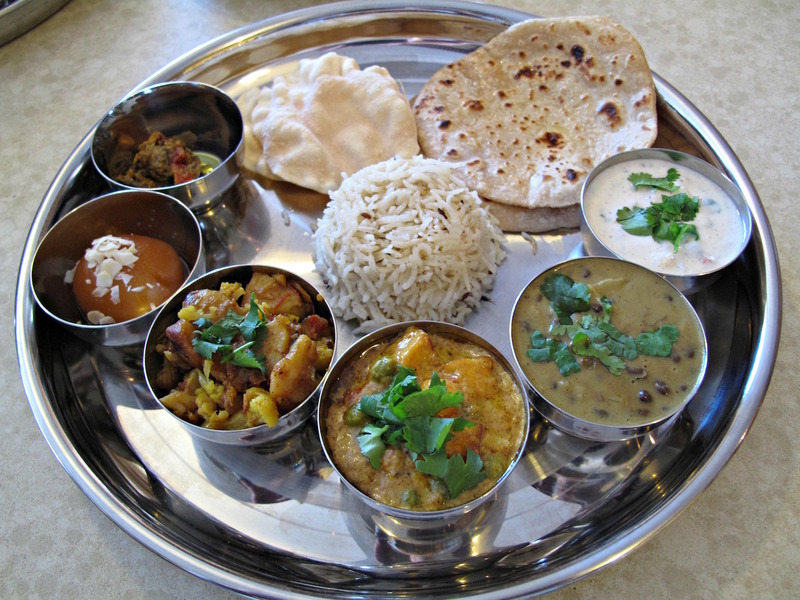 Tiwari Tea House is doing it’s thali thing for lunches only – which means weekends for non-working folks.